UES International is proud to be celebrating our 114th year with you. From our beginnings in 1904 supplying the coach building industry to having developed one of the most comprehensive offerings available today, we are excited for what’s to come in 2018. Come celebrate with us! Take 15%* off everything on the online store! 2017 saw a lot of notable events, including UES Seating’s the Island Bench being awarded the coveted Staten Island Ferry contract. The LuxForm collection introduced the LuxForm Voyager with lie-flat capability recently. Also with CAGE Code certified CNC machining facility Panther Engineering in Fullerton, California now part of UES International, the Company is able to manufacture its seating range in Australia as well as the US. 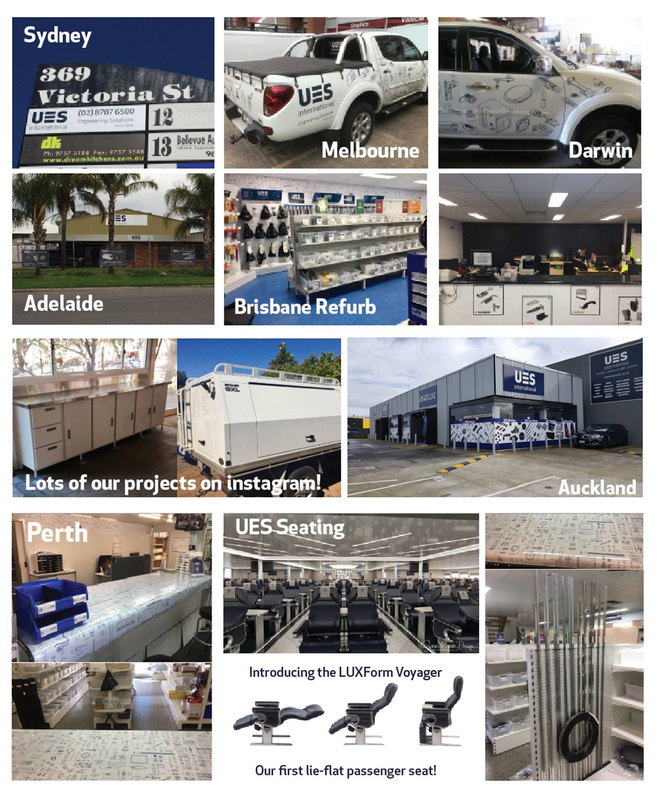 2018 will see the launch of UES USA INC, and many exciting projects are lined up to follow. UES Seating and UES Driver Seating showed at Interferry, Workboat, AusRail, and many more shows last year, and we’re sure to return in 2018, already starting with PVA Maritrends 2018 in Savannah, Georgia, USA. Our updated website has made it easier than ever for you to buy everything you need from the comfort of your home or on the go! With new products getting added to our online store in February 2018, our ever expanding collection fulfils every requirement you may have. The user-friendly interface keeps you updated on the latest promotions and news while showcasing all of the divisions of UES International. Our retail showrooms got an upgrade as well, and found Fitch the Rubber Man being renamed UES Fitch, and Jennings McDonald now called UES Jennings. There was also the introduction of the ‘Trade Card’ which offers retail discounts and promotions exclusively to subscribers. Our brand was further strengthened with signage on our cars and refurbishment of UES branches. To catch up on all the news on what we’ve been up to last year, click the link below!